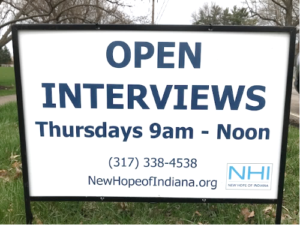 Thinking back to all of those years ago when I was hired at New Hope of Indiana, immediately following the interview, I was offered a position and started just two days later. While those were certainly simpler times, our employment world is now complex, dynamic and competitive. 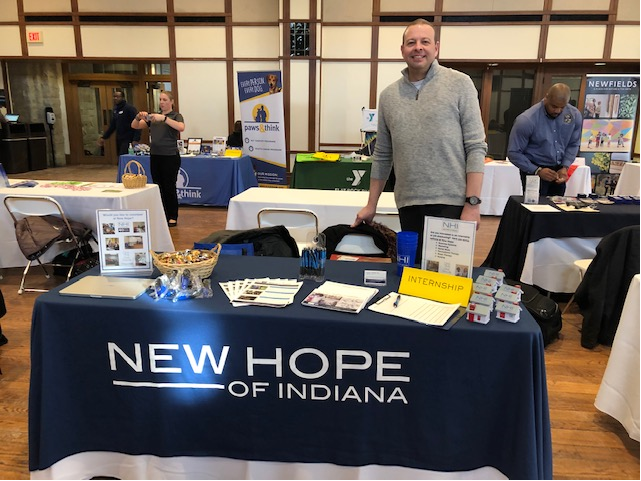 For a thriving, mission-focused future, it is essential that New Hope take advantage of innovative recruitment practices. The New Hope recruitment process, referred to as talent acquisition, involves a vast toolkit of strategies essential in addressing a competitive market while attracting a competent and compassionate workforce. As digital technology is increasingly utilized for recruitment throughout all industries, particularly social media, our Human Resources team recognizes how the direct contact with potential associates is still important. Follow-up phone calls for online applications rather than just emails offer an effective balance between technology and human interaction providing an opportunity for immediate feedback to applicant questions. While virtual interviews seem to be gaining in popularity, all of our interviews are still in-person which we feel is needed to provide a clear understanding of New Hope’s mission and specific job responsibilities. That personal touch is evident throughout the onboarding process. Hiring Direct Support Professionals (DSPs) has, for several years, been especially challenging, prompting the need for additional efforts to address open DSP positions. Last year, we started having open interviews every Thursday from 9am-Noon to expedite the hiring process, and this has been very successful. Between roadside signs and applicants referred by associates, Thursdays are a very busy day in Human Resources. Our current associates continue to be an excellent source for referrals, and we have a two-tiered referral bonus once associates are hired and remain employed. For many considering employment at New Hope, we know that benefits are a priority. We continue to offer a competitive benefits package and even created a benefits calculator which determines the value of a prospective associate’s total compensation based on potential salary and benefits choices. Other recruitment strategies include exhibiting at employment, non-profit, volunteer and internship fairs. By digitally collecting contact information for those interested in applying or learning more, we are able to expedite the application process and ensure timely communication. Posting positions and job descriptions on college and other websites and specialty apps is another helpful strategy, especially for positions which are challenging to fill and for our new internship program. Varying workforce demographics require this wide range of tools to reach the pool of potential applicants. 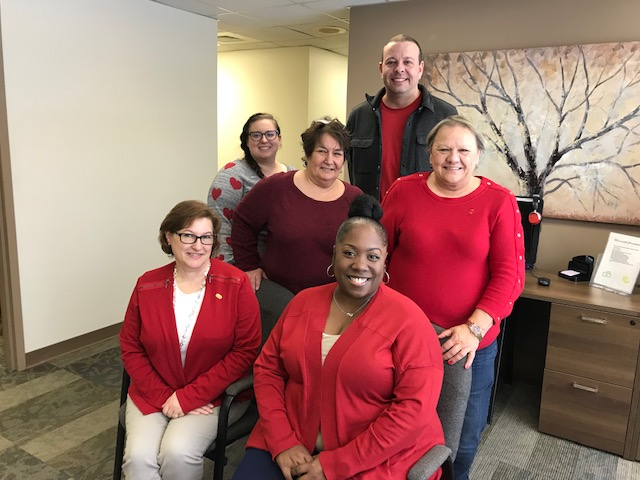 Thank you to our dedicated Human Resources team for their ongoing commitment to seek innovation and best practices in our recruitment of new associates!